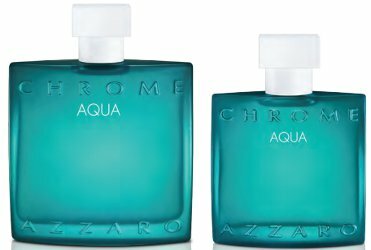 Azzaro has introduced Chrome Aqua, a new flanker to 1996's Chrome for Men. A new chapter of the Chrome saga begins in the Mediterranean. Through an all-new aromatic freshness, Chrome Aqua creates a more dazzling fragrance and gives rise to a new vibration, like a clean breeze that intermingles with sea foam. A part of the Chrome lineage, this new aromatically fresh fragrance is enriched with surging green notes. The combination of Grapefruit, Basil, and Vetiver depicts a new and invigorating olfactory interpretation. Additional notes include green apple. Azzaro Chrome Aqua is available in 30, 50 and 100 ml Eau de Toilette.